Task lamps help breathe new light into a room. 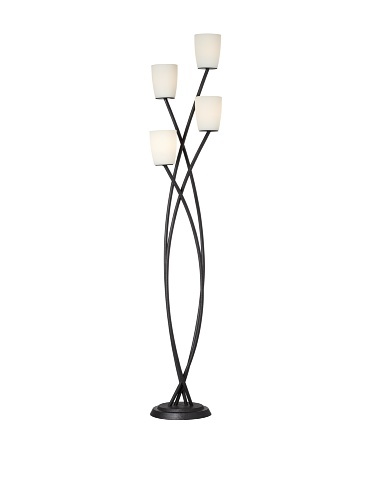 This torchiere floor lamp stands tall with tiered bands of metal and champagne glass. Top torchiere light provides overall room illumination, while the twin side lights adjust for reading. Floor switch controls dimmer for top light and on-off button for side lights.- Overall: 71" high. Base is 15-3/4" wide.- Takes one maximum 150 watt bulb and two maximum 60 watt bulbs (standard base bulbs, not included).- Floor switch controls top light dimmer. 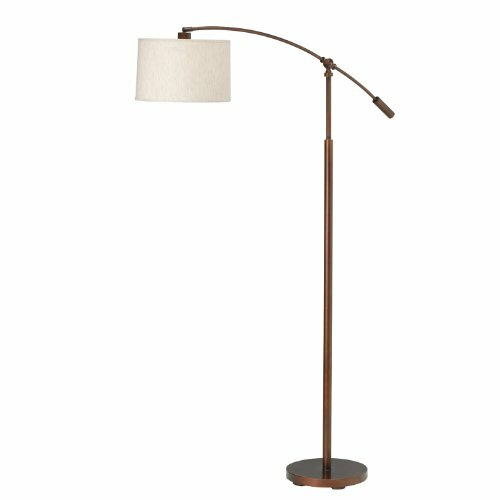 On-off button for the side lights.- Tree floor lamp with top torchiere light and 2 adjustable side reading lights.- Bronze finish square base, pole and lamp arms. Champagne glass.- Great for family rooms, home theater use, office and more. Sometimes, a brilliant story starts with a fragment of a thought - just a spark from which a place and time and emotions spring. It's a little like our Grace table lamp: at first, a fragment cast from an antique French garden fence- finished, a romantic tale of old and new. Also available as a floor lamp and sconce. 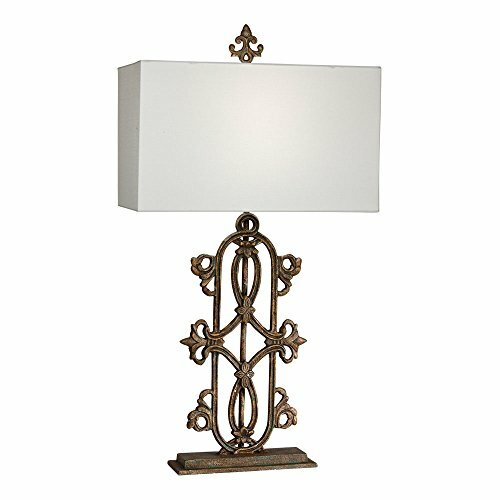 Compare prices on Metro Bronze Floor Lamp at ShopPlanetUp.com – use promo codes and coupons for best offers and deals. We work hard to get you amazing deals and collect all available offers online and represent it in one place for the customers. Now our visitors can leverage benefits of big brands and heavy discounts available for that day and for famous brands.